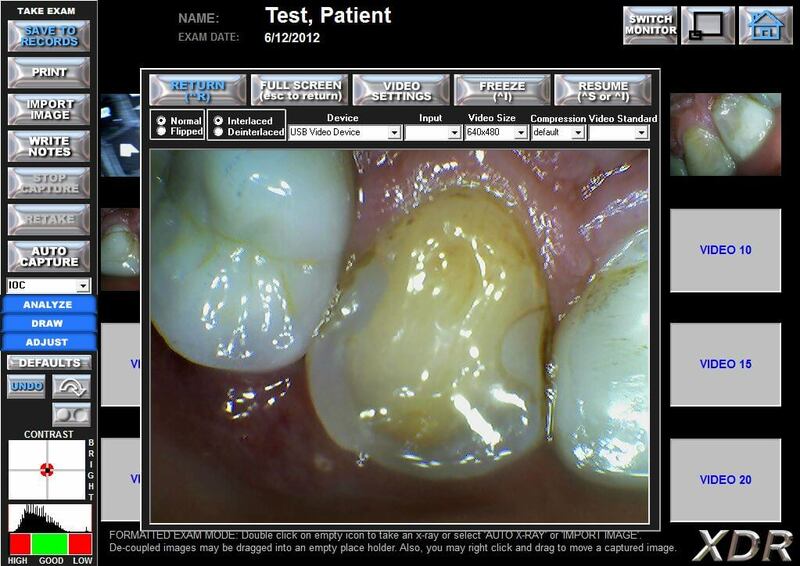 Lensiora Intraoral Camera fully integrates with XDR, sending image snapshots directly into your patient’s chart! Before starting the exam, clicking the snapshot button will even launch the Video Capture! 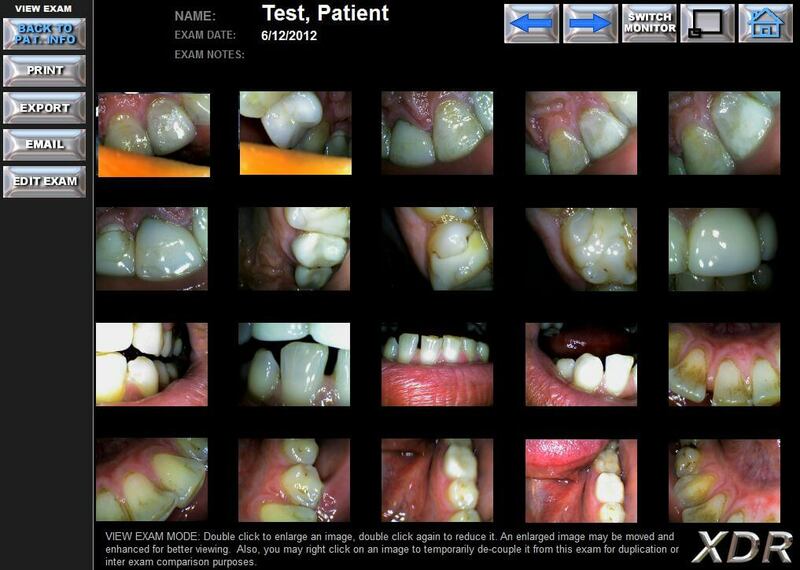 No other Intraoral camera on the market can do this. If you choose to use the Lensiora TWAIN module, before importing images, review them and delete those you wish to discard. To review one image place your mouse cursor over its thumbnail in the image list, located on the right. To delete the image, click on the small trash can icon that appears on the image, or select the image and click the delete button.